Welcome to the Gallery of the VC Potters Gallery! Ventura County Potters Guild artists showcase a diverse array of unique sculptural and functional ceramic artistry at its gallery in the Ventura Harbor Village. Find one-of-a-kind, handmade gifts, for giving or for yourself! Come meet our artists at the Gallery, where you can often find them working behind the counter. 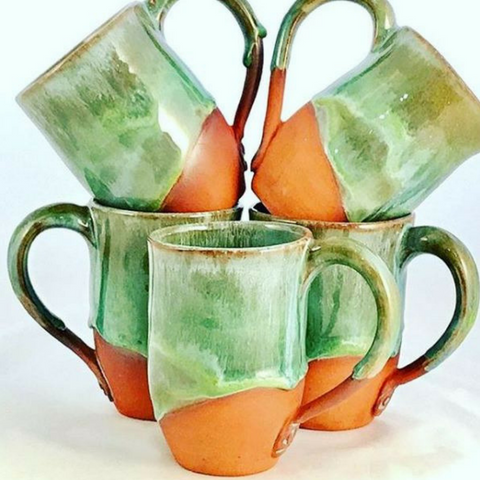 Founded in 1957, the Ventura County Potters Guild is a not-for-profit organization formed to promote the art and craft of ceramics in the community and to provide a forum for local potters to share their experiences and knowledge of clay. Through monthly meetings, events, and our galleries, we share our work and knowledge with our community. Visit our website to learn about upcoming events and membership. If you are interested in reaching a Ventura County Potters’ Guild artist, please contact Cecile at (805) 985-5038 and she can assist you.